Brizeida Mora-Herrera was 2-for-3 with a double and three runs scored Friday to lift Chaparral’s softball team to a 7-6 home win over Boulder City. Brizeida Mora-Herrera was 2-for-3 with a double and three runs Friday to lift Chaparral’s softball team to a 7-6 home win over Boulder City. Fernanda Rivas went 2-for-3 with two RBIs for the Cowboys. Brooke Baker was 2-for-3 with a two-run home run to lead the Eagles. Green Valley 15, Silverado 13 — At Silverado, Olivia McClain went 4-for-4 with two home runs, five runs and four RBIs to help the Gators hold off the Skyhawks. Cindy Martinez-Escamilla was 3-for-5 with a triple, a double and four RBIs for Green Valley, which led 15-8 entering the bottom of the seventh. Abigail Cordova got a fly out with the potential tying run at second base to end the game. Olivia Johnson was 2-for-2 with two RBIs for Silverado. Mikayla Capers and Megan Johnson each went 1-for-3 with a home run and three RBIs for the Skyhawks. Durango 3, Spring Valley 1 — At Durango, Jayla Gamboa allowed one run on seven hits and struck out seven to lead the Trailblazers past the Grizzlies. Spring Valley’s Teegan Teal spun a two-hitter. Bishop Gorman 18, Clark 0 — At Clark, Hayley Coreas was 3-for-3 with two doubles and five RBIs as the Gaels routed the Chargers in three innings. Nycole Cootes was 3-for-3 with two RBIs, and Mia Schwartz went 3-for-3 with an RBI for Gorman, which also got a home run from Katelyn Hunter. Sydney Schafer and Rylie Pindel combined on a perfect game. Schafer struck out four in two innings, and Pindel struck out the side in the third. Desert Oasis 15, Foothill 2 — At Foothill, Meaghan McInerney went 3-for-4 with a home run, a double and three RBIs to lead the Diamondbacks by the Falcons in five innings. Cynthia Alvillar was 3-for-4 with two RBIs, and Amber Brocoff went 2-for-3 with four RBIs for Desert Oasis. Winning pitcher Holly Severance was 2-for-4 with a home run and two RBIs, and Makayla Rickard went 3-for-4 for the Diamondbacks, who scored 10 runs in the fourth inning. Jocelyn Shupp was 1-for-2 with an RBI for Foothill. 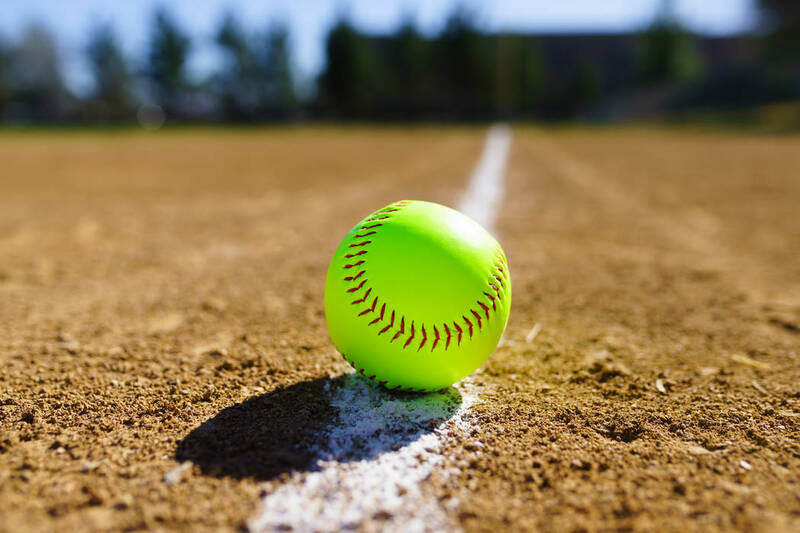 Virgin Valley 23, Sunrise Mountain 10 — At Sunrise Mountain, Kaysha Heath went 4-for-4 with two home runs, a triple and a double as the Bulldogs outslugged the Miners in five innings. Kylie Cannon tripled for Virgin Valley, which made the most of 11 hits. Coronado 15, Tech 0 — At Tech, Paige Sinicki was 2-for-3 with two home runs to lead the Cougars to a four-inning victory over the Roadrunners. Sydney Smith spun a no-hitter and struck out eight. She also went 2-for-3 with two doubles for Coronado, and teammate Madison Stephens was 2-for-2 with a home run. Arbor View 21, Valley 0 — At Valley, Roxanne Ines went 3-for-3 with two doubles as the Aggies routed the Vikings in three innings. Bella Pinotti was 2-for-2 with a triple and two runs for Arbor View. Irelyn Richards and Kylie Sharapan combined on a one-hitter for the Aggies. Richards struck out five in two innings. Pahranagat Valley 16, Mineral County 0 — At Hawthorne, Kami Stirling was 1-for-1 with three RBIs, and Jessica Brede went 3-for-4 with two RBIs to lead the Panthers to a three-inning win over the Serpents. Mariah Zander tossed a no-hitter, striking out seven and walking two, for Pahranagat Valley. Indian Springs 24, Mountain View 5 — At Indian Springs, Caitlyn Best-Brewer, Kamryn Perry and Brooke Karl combined on a three-inning no-hitter as the Thunderbirds routed the Saints. Kaitlyn Farrar was 1-for-1 with four runs and two RBIs, and Faith Prine was 1-for-2 with three runs and three RBIs for Indian Springs, which had only two hits but took advantage of 20 walks and four hit batters.